Nationwide, nearly 4 million veterans pay at least 30% of their income on housing, while more than 1.5 million pay at least 50%. As you can imagine, using half of your income to pay your rent or mortgage is an enormous strain on any budget. 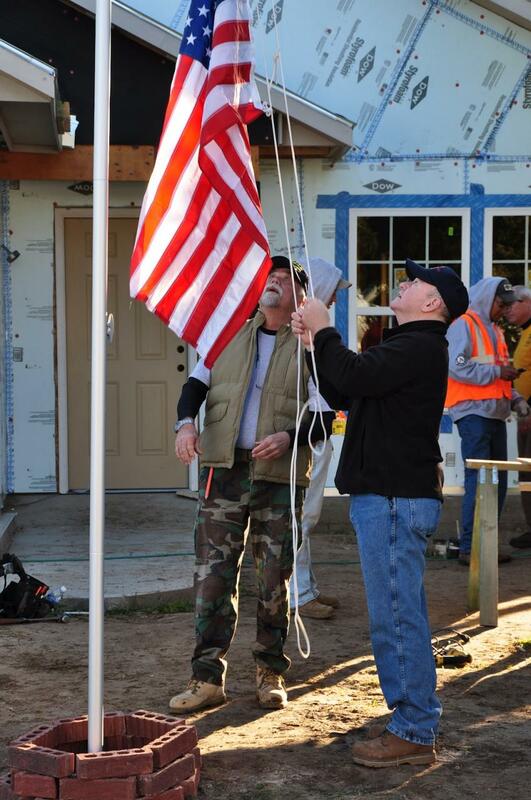 Habitat affiliates across the country are doing their part to support veterans who stepped up for us, and Flower City Habitat is too. 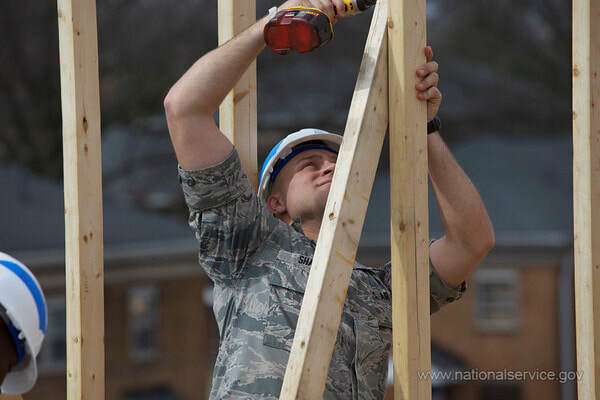 Over the years we have done several projects focused on veterans and their families, including the 2011 Veterans Build house, but we are continuing to do more. Announced on Veterans Day 2017, we began reinvigorating our Veterans Build program as an ongoing program focused on homeownership, honor, and ​continued service of community for U.S. veterans, military service members, and their families. This is an ongoing process and we are looking for dedicated volunteers to help us increase opportunities and access to resources. Veterans, military service members, and family members will lead this program, but all volunteers are welcome. 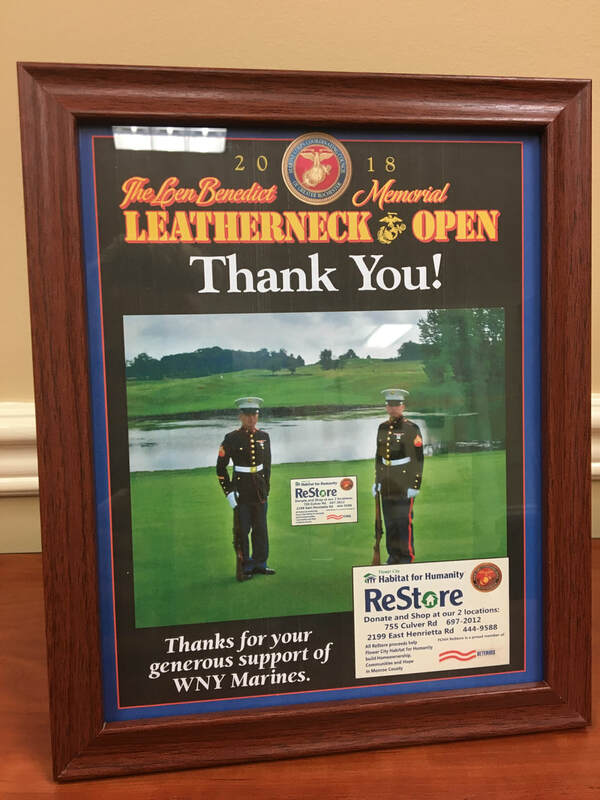 Flower City Habitat ReStore was a sponsor of the 2018 Leatherneck Open Golf Tournament to support the Marine Corps Coordinating Council of NY. We have already confirmed that we will sponsor the golf tournament again in 2019 and we'll share information as it gets closer. Additionally, all US veterans receive 10% off at both Flower City Habitat ReStore locations - every day! Volunteering gives US veterans, military service members, families, and neighbors the opportunity to continue serving their community while staying connected or reconnecting with other veterans, neighbors, and fellow citizens. We usually have a couple Veterans Build focused shifts scheduled and of course veterans are welcome to participate in all of our volunteer programs. The Veterans Build committee will be the core group of dedicated volunteers that work with Habitat staff to set goals, strategy, and processes. More than just an "ideas committee", committee members must also be dedicated to implementing processes, performing tasks, and supporting teams to achieve goals. Each individual on the committee can focus their efforts based on their interest, skills, and availability. Some focuses for the Veterans Build committee will include: advocacy, employment, event planning, homeownership, home repairs, job training, liaison to partner organizations, outreach, research, promotions, photography, social media, volunteer coordination, recruitment and more. If you are interested in joining the Veterans Build committee, email kbraley@rochesterhabitat.org or RSVP to and upcoming volunteer information session. If you can't join the committee, sign-up for email updates to get notified as we create more opportunities to get involved.